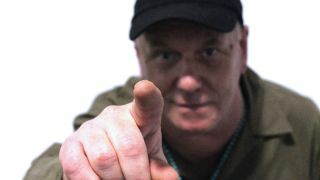 MusicRadar's best of 2018: Other members of the outfit may have come and gone, but Alex Paterson has been the driving force behind ambient house pioneers The Orb since 1998. Across 17 albums and multiple memorable live shows, The Orb have run the electronic music gamut and influenced countless other artists in the process. As they celebrate their 30th anniversary, a sense of rejuvenation surrounds The Orb. New album No Sounds Are Out Of Bounds received widespread critical acclaim, and they’re about to head out on a tour - check out The Orb website for dates - which will see them interspersing their greatest hits with tracks from the new record.